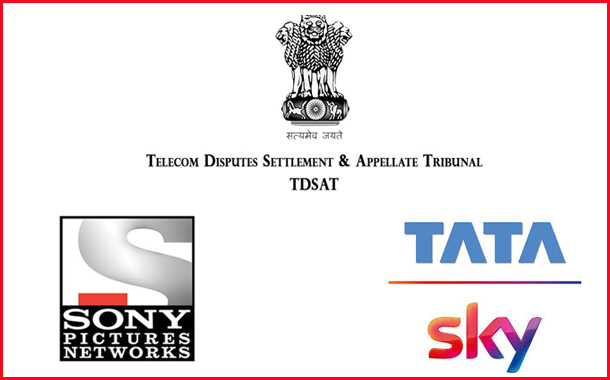 New Delhi: The Telecom Disputes Settlement & Appellate Tribunal (TDSAT) has given a period of four weeks time to Sony Pictures Networks and Tata Sky to amicably reach out to a solution to the issue where SPN has served a disconnection notice to Tata Sky when talks for a negotiated agreement did not yield any fruitful solution. As licenced service providers, both the parties, Sony Pictures Networks and Tata Sky had executed an Interconnect Agreement between themselves, which spent its force by efflux of time on 31.07.2018. Subsequently when the negotiations for renewal did not reach a consensus through notice dated 07.09.2018, whereas as per the old terms Sony was getting Rs.800 crores(may be approximate) and negotiations failed as the demand was for Rs.1700 croresdespite losing the telecast rights of IPL Matches. Sony served a disconnection notice to Tata Sky to disconnect the signals of its channels to the latter’s platform after 21 days of the notice. This notice was followed by public notice dated 10.09.2018. After a close discussion Tata Sky had opted for a RIO based agreement with effect from midnight of 30.09.2018 where it limited its acceptance of the offer as per RIO to 10 channels only out of a total of 32 channels of Sony Networks.